More than two-thirds of Germans — or 69 percent — are extremely concerned that US President Donald Trump’s policies are having a dangerous impact worldwide, according to the annual survey “The fears of Germans” by the R+V Infocenter. “Trump’s ruthless ‘America First’ politics, his aggression with regards to international arrangements and his equally aggressive trade and security politics, even towards allied countries, scare the majority of the population,” said Manfred G. Schmidt, a professor at the Ruprecht-Karls-University in Heidelberg and a consultant for R+V Infocenter. So, in the past 26 years, at least, nothing has been scarier to Germans than US President Donald Trump. This does not bode well for USA-German relations. Plus, they are frustrated by his regular insults and put downs. They are scrambling to try to figure out what to do next. His allies in the Bavaria-based Christian Social Union, which campaigns jointly with Ms Merkel’s Christian Democrats, appealed for his return. Notice that Herr Guttenberg was called “The saviour of us all.” Well, Jesus is the Saviour (1 Timothy 4:10; Acts 4:10-12; 2 Peter 3:17-18). But the Bible warns about a Beast that will appear to many, particularly in Europe, as the one who will deliver them from problems (e.g. Daniel 11:23-24) and that will be worshipped (Revelation 13:1-8). Werdin d’ Otrante (13th century): “The Great Monarch and the Great Pope will precede Antichrist…All the sects will vanish. The capital of the world will fall…The Great Monarch will come and restore peace and the Pope will share in the victory.” (Connor, Edward. Prophecy for Today. Imprimatur + A.J. Willinger, Bishop of Monterey-Fresno; Reprint: Tan Books and Publishers, Rockford (IL), 1984, p. 33). Several private prophecies of canonized Saints specifically state that there will be a latter restoration of the Holy Roman Empire and that there will be at least one last Holy Roman Emperor. The authenticity of the authorship of such prophecies of canonized Saints (e.g., St. Hildegard, St. Vincent Ferrer, St. Francis of Paula, and St. John Vianney) at least over the last eight hundred years is scholastically unquestionable. (Birch, DA. Trial, Tribulation & Triumph: Before During and After Antichrist. Queenship Publishing Company, Goleta (CA), 1996, p. 281). Some of the prophecies involving the “Great Monarch” seem to be discussing the same individual that the Bible calls the final “King of the North” (Daniel 11) and the final “Beast” (Revelation 13). Because of this, many “Catholic” (including Eastern Orthodox) prophecies will be included in this article. As long term readers of this COGwriter Church of God News page are aware, I have been warning about Herr Guttenberg since 2009 (see Might German Baron Karl-Theodor zu Guttenberg become the King of the North?). He has potential to either be the King of the North Beast power of Bible prophecy, or at least a potentially major supporter. Presuming either is the case, I expect the nominally Roman Catholic Guttenberg to one day betray the Church of Rome (cf. Revelation 17:16-18). Back in 2015, Karl-Theodor zu Guttenberg, former German Defense Minister, called Donald Trump “that blonde lunatic named Donald.” So, Herr Guttenberg was on the forefront of warning against Donald Trump. 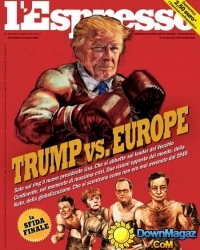 The Europeans in general, and the Germans in particular, do not like Donald Trump. It was actually because of this, that I told someone in July of 2016 that Donald Trump could well become the next President of the United States. Has or will Donald Trump affect Europe? He will do so in many ways, including several that few consider. Donald Trump’s foreign policy statements have unsettled many—in the U.S.A. as well as foreign nations. He seems like he will more unpredictable than Richard Nixon. There is also something referred to as the “law of unintended consequences.” There are consequences for the U.S.A., Europe, and elsewhere that have and will occur because of Donald Trump’s statements and actions. Donald Trump will not ‘make America great again.’ His rise is dangerous for many reasons, but prophetically, one of them is that his rise has shown the Europeans that the USA is moving in a direction they do not like (cf. Daniel 11:39). Some believe that Donald Trump’s positions on trade will lead to a global trade war that could trigger some type of international war (Katasonov V. Only One Step Away from a Global Trade War. Strategic Culture Foundation, December 12, 2016). It is my position that trade disputes will be a factor in Europe taking military action against the U.S.A. one day. Germans and others see the USA declining. Europe will go in a direction that USA leaders, including its ‘foreign policy experts,’ do not comprehend (Daniel 11:39; Isaiah 10:5-11). Donald Trump indicated that Europe needs to pay for more of its defense or the USA should not have to pay for it (Collinson S. 5 candidates make closing arguments on CNN ahead of Western Tuesday. CNN, March 20, 2016). Donald Trump has made statements that will help lead to the rise of a European Empire as well as an Islamic confederation. These are to be led by leaders that the Bible refers to as the King of the North and the King of the South respectively. The rise of Donald Trump should show 21st century people that the King of the North will be able rise up in Europe. I warned about “unintended consequences” in that book about Europe and we are starting to see this happening. The distancing of Europe from the USA is encouraging them to build their military. Europeans are concluding that they cannot rely on the USA anymore. And this means in matters of not only trade, but defense. The leaders of a United Europe, when they succeed against the United States, will begin to think THEIR prudent planning, THEIR wise ideas and THEIR powerful might have made them successful! They will not realize that they have only been used as a base tool of destruction in the hand of the Almighty God! “Shall the axe boast itself against him that hews therewith? Or shall the saw magnify itself against him that shaketh it? as if the rod should shake itself against them that lift it up, or as if the staff should lift up itself, as if it were no wood” (Isa. 10:15). God explains here that despite the fact that He has used Assyria to punish Israel, Assyria is also rebellious against His law and government, His way, and since it will magnify itself against the very God of creation, as Dan. 11: 36 and 37 explain, GOD WILL HAVE TO PUNISH IT FOR THIS. Since God himself has pronounced a curse on modern Israel, and is going to hand us over to the Assyrians, it is evident that we CANNOT TRUST in the American way of life either! Nothing is left outside these three great systems and powers on earth, under man, except Anarchy! Trust God (Proverbs 3:5-6). Do not put your trust in the USA (cf. Proverbs 3:7). Fear is a powerful motivator and Germans are afraid of Donald Trump. But more and more are starting to look again at Karl-Theodor zu Guttenberg. Karl Guttenberg is a politician. He is not our (or the Germans) saviour. We are seeing more and more reasons that show that Donald Trump’s actions will be a factor in the rise of the European King of the North Beast power (cf. Daniel 11:39; see also USA in Prophecy: The Strongest Fortresses and Donald Trump in Prophecy). 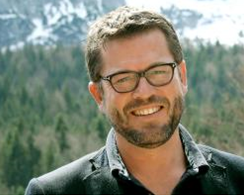 Might German Baron Karl-Theodor zu Guttenberg become the King of the North? Is the former German Defense Minister (who is also the former German Minister for Economics and Technology) one to watch? What do Catholic, Byzantine, and biblical prophecies suggest? A video of related interest would be: Karl-Theodor zu Guttenberg and Europe’s Future. Blockchain, Karl Guttenberg, and 666. American Express just announced a deal with Ripple related to using its blockchain technology. No longer confined to Bitcoin, blockchain technology is moving towards the mainstream. Former German Economic and later Defense Minister, Karl-Theodor zu Guttenberg has long been an adviser to Ripple and has plans for internationally-expanding the use of blockchain money. Jim Rickards, Doug Casey, and others have expressed concerns that blockchain money will give governments too much control over buying and selling. Could any of this be related to biblical prophecies in the Books of Daniel and Revelation? Could any of this help fulfill the prophecies related to buying and selling and 666 in Revelation 13? Dr. Thiel addresses these issues and more in this video. A related written article is also available: Amex launches blockchain-based business payments using Ripple: Prelude to the Beast and 666? Germany in Biblical and Catholic Prophecy Does Assyria in the Bible equate to an end time power inhabiting the area of the old Roman Empire? What does prophecy say Germany will do and what does it say will happen to most of the German people? Here is a version of the article in the Spanish language: Alemania en la profecía bíblic. Here are links to two English language sermon videos Germany in Bible Prophecy and The Rise of the Germanic Beast Power of Prophecy. Who is the King of the West? Why is there no Final End-Time King of the West in Bible Prophecy? Is the United States the King of the West? Here is a version in the Spanish language: ¿Quién es el Rey del Occidente? ¿Por qué no hay un Rey del Occidente en la profecía del tiempo del fin? This entry was posted on Thursday, September 6th, 2018 at 6:30 am	and is filed under Prophecy.